NZWETA is a joint venture between the New Zealand Water & Wastes Association and Opus International Consultants Ltd. 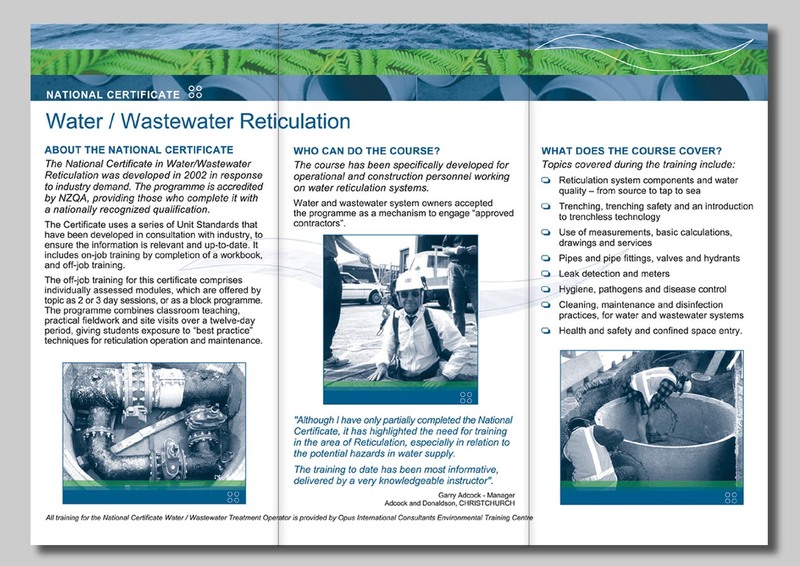 They provide training courses for the Water & Waste industry. 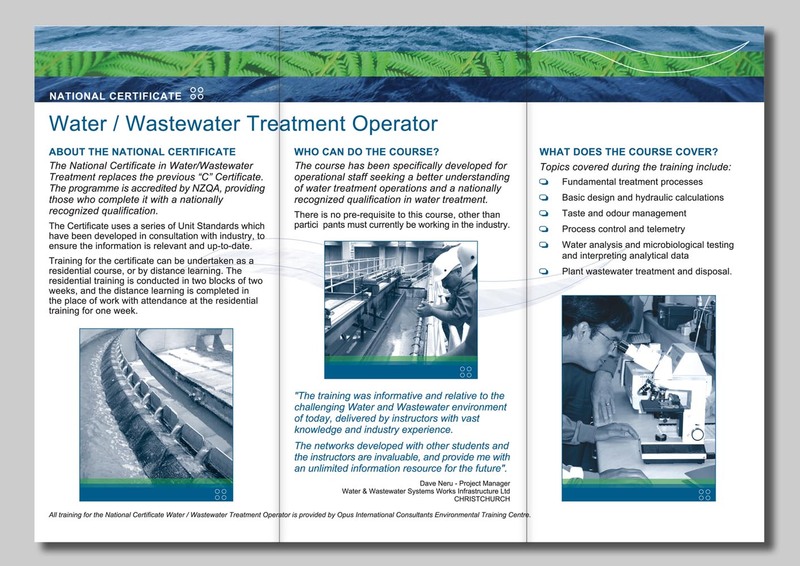 Project: To create a set of three brochures advertising the NZWETA courses. Format: Two types of brochures, one a single panel DL and the other two three panel DL brochures. Brief: To design a set of three brochures these included an Introductory course to Water / Waste Water Treatment, and the National Certificate in Water / Wastewater Treatment Operator and Water Reticulation. The client wanted the layout to be simple and clean cut. A simple design NZWETA’s two main corporate colours blue and green. The images included natural elements for imagery like ferns and water textures as well as staff completing training on their jobs.